When Hisui was young he lost a relative, he has a strong sense to excessively try to protect his younger sister. He has a rough outward appearance and acts cool, but inside he has a stubborn heart and is hot-headed. At the begining of the game he is being chased by Incarose along with Kohak. They jump off a cliff and end up in the beach of Shing's hometown. Here, he mistakes Shing for being a pervert who tries to forcefully kiss Kohak (when he just tried to save her), and hurts him. 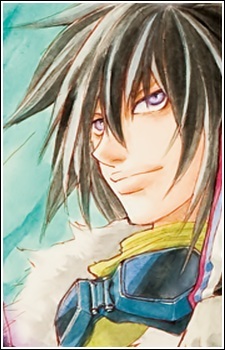 He develops a strong friendship with Shing Meteoryte and Kunzite later in the game, and eventually develops a friendship with Richea Spodune.